We take steps further than most painting contractors. 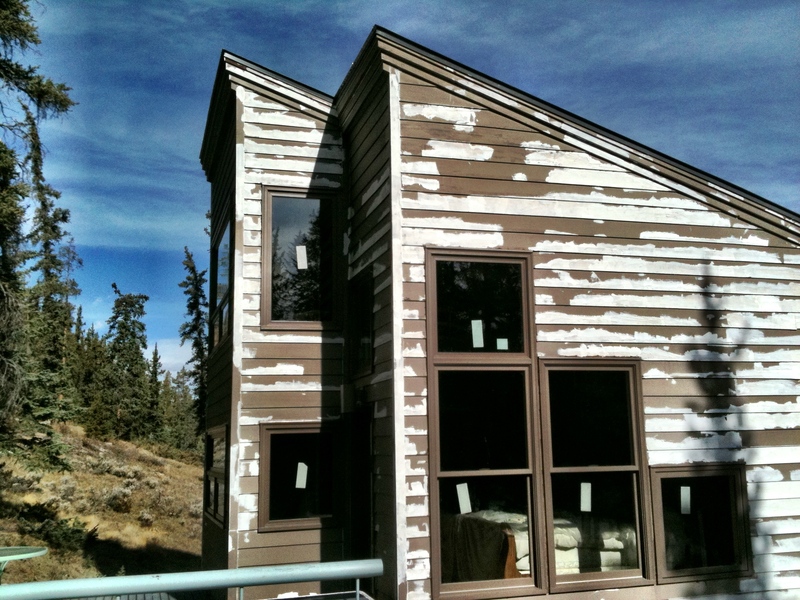 This exterior home in Dillon, CO had been painted 3 years ago and the previous coatings were failing for what ever reason. Our preparation on exterior painting projects is time consuming and the results will last due to our efforts. Our general exterior painting preparation procedure: Protect all landscaping and surfaces. 1. Pressure wash and use of mild green detergents (environmentally safe and non-caustic). 4. Prime all damaged areas by hand. 2 coats as needed. Spraying primer on raw material does little good unless it is worked into the surface. 6. Vaccum and sweep ground. This home needed 10 gallons of primer and 26 tubes of Big Stretch caulking. The use of quality products at these elevations and exposure to UV light, wind, snow and rain is very important. We use only the highest quality products that are intended to withstand the elements. It is very important to apply future maintenence coats before your paint fails in order to save money on preparation. Basic DAP caulking (siliconized acrylic) – designed for cosmetic repairs and partially holds up to the exterior elements. Powerpoint caulking (siliconized acrylic) – excellent product with good reviews. Bigstretch caulking (siliconized acrylic) – Three times the price and the gold standard for acrylic caulks. There are also a number of non-acrylic caulks – silicon, solvent based that are premium products that are used on commercial and industrial applications. These products usually cannot be painted over and work well on non shrinking / moving substrates. We have used silicon on windows, glazing windows, stone and masonry, metal, aluminum and plastic substrates. Using the right materials with the correct application will allow your exterior to look brilliant for years to come.